Our introductory 2-sack pack is ideal for smaller volumes of confidential paper such as an annual clearout of old bank statements and utility bills. Or perhaps you have recently changed jobs and have employment documents and reports to shred. The 2-sack pack gets you started! HomeShredUK provides Eco-Shred sacks for you to store your confidential paperwork and we dispatch these via Royal Mail 1St Class post directly to your home or office. 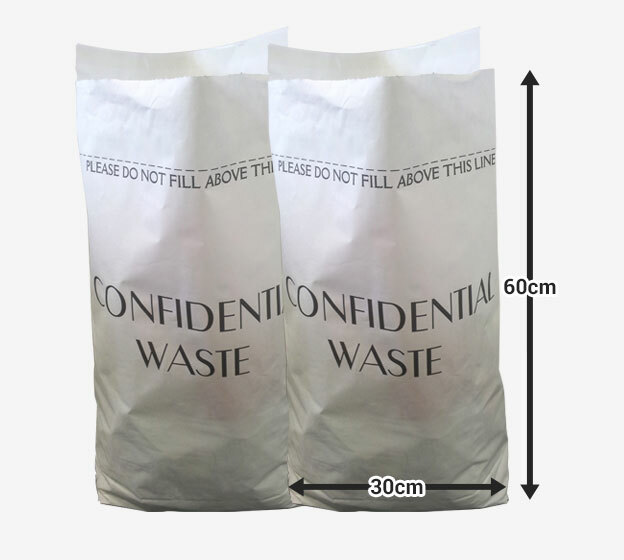 We provide self sealing Eco-Shred sacks for our Client′s to store their confidential paper documents. Our dispatch team send sacks via Royal Mail first class directly to your residential home or commercial office. This conveniently means you do not have to be in to accept the delivery as the Royal Mail postman will deliver through your door. Online orders placed by 3 p.m. from Monday to Friday shall be dispatched on the same day. Orders received after 3 p.m. or placed on the weekend shall be dispatched the next working day.